March 4th, 2008 By: GGT Category: 2008/05 release, Figure News. 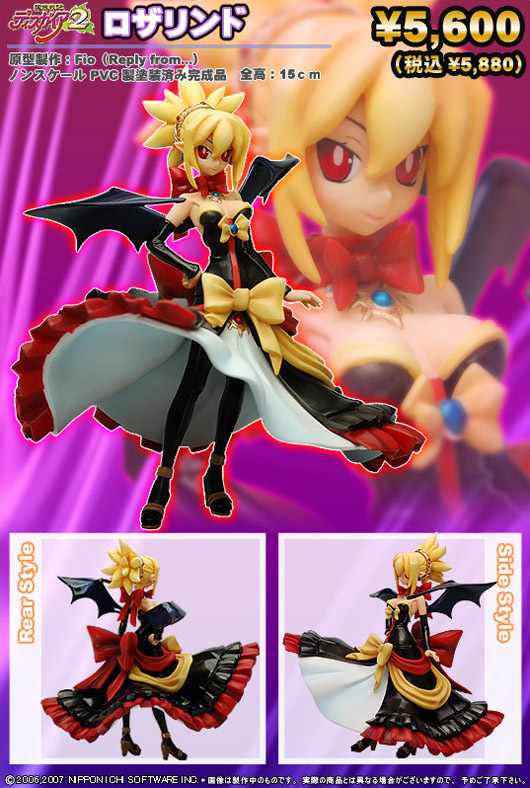 Rozalin from the serise of Disgaea 2, Griffon Enterprises will release this figure in May 2008. Around 150mm tall, 5,600Yen.